HVAC/R equipment becomes more sophisticated with each technological development. The demand for well-trained technicians who can install, service, and maintain these systems is growing rapidly. Regional employers provide input and support towards program quality and student placement through the HVAC/R program at NCC. EPA-Section 608-Technician Certification prep and testing is offered in coordination with program coursework. The three-tier "Stackable Credential" HVAC/R program allows a student to exit and reenter the program at various levels and builds upon the previous coursework completed. Heating, air conditioning, and refrigeration mechanics and installers-often called HVACR technicians-work on heating, ventilation, cooling, and refrigeration systems that control the temperature and air quality in buildings. 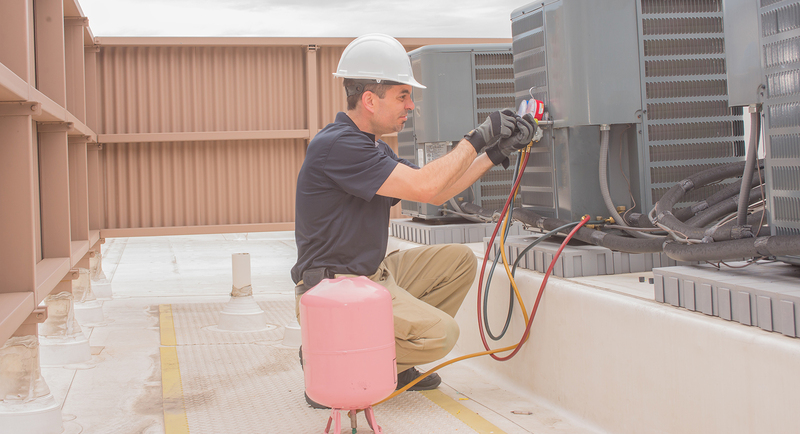 HVACR technicians work in residential homes, schools, hospitals, office buildings, or factories. Their worksites may be very hot or cold because the heating and cooling systems they must repair may not be working, and because some parts of these systems are located outdoors. Irregular hours and working in cramped spaces are common. Because HVACR systems are increasingly complex, employers generally prefer applicants with postsecondary education or those who have completed an apprenticeship. Some states and localities require technicians to be licensed. Instead of throwing you into a large lecture room with hundreds of other students, NCC fosters an environment where you can work closely with expert technicians and apply hands-on experiences to your education. We differ from HVAC technical schools because we combine theory and practice when solving HVAC/R repair and maintenance problems. You'll have the opportunity to complete more than 400 hours of real-world training, while also gaining a strong background in electronics, mathematics and the complex science behind heating and cooling. At Northampton Community College, we often hold the EPA Refrigerant Technician licensure test for HVAC/R graduates. Our program also includes an internship element to provide you valuable on-the-job training, as well as the opportunity to network and make industry connections. Northampton Community College's HVAC/R program is designed to meet your different career and training goals. The associate in applied sciences degree can be used to enter the workforce directly or as a springboard to further your studies at a four-year school. We also offer one-year and two-year certificate programs, and you may complete each on a full-time or part-time basis. Compared to a HVAC technical school, NCC has an acclaimed scholarship program, giving out more than $46 million every year. For example, the Mattioli Foundation Annual Scholarship is intended to encourage and support students in HVAC, welding and other related disciplines. Contact NCC to learn more about our interactive HVAC/R courses.